I was supposed to race the Devil ‘o the Highlands a few weeks before this but stomach problems meant that I couldn’t start. Was pretty gutted. Felt like I’d run out of luck as I’d had gastroenteritis just before GEDM earlier in the year. 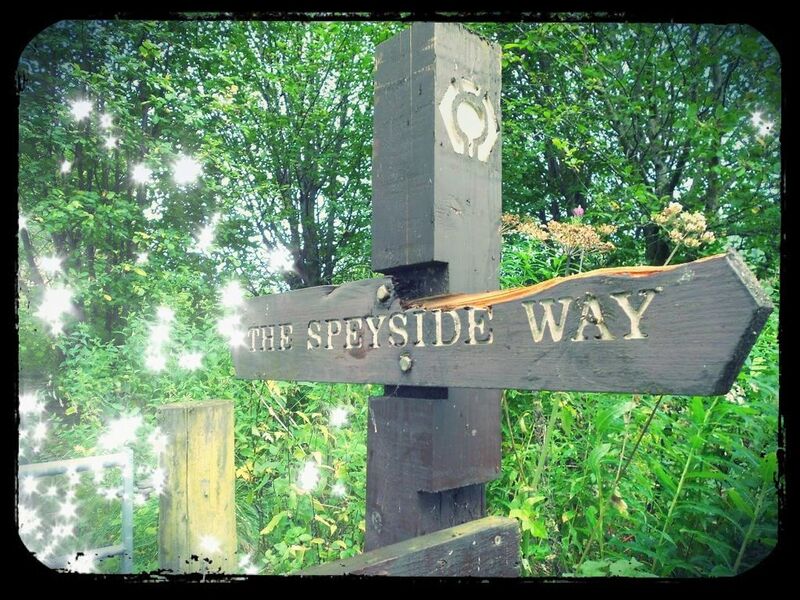 So, next thing to focus on was the Speyside Ultra (part of the SUMS series). My folks had booked a cottage up in Buckie so we were all looking forward to a mini-break. My training since missing the Devil had gone pretty well and into race week I tapered and increased the carb intake from the middle of the week. On Thursday it appeared to strike again and I had the worst stomach (I won’t go into details) and the realisation that as well as an underlying issue I must be doing this to myself. I think I know what it is now so if anything, that’s a step forward (and another post). I couldn’t drive up on the Thursday as planned as I needed to be near a toilet so I set out on the 4.5hr drive on Friday with a decent supply of immodium. The rest of the day was spent trying to get sorted – boiled rice, bananas, trip to the chemist. It wasn’t great and the stress of trying to get myself fit for the race probably wasn’t helping. In the morning I was hungry enough and my stomach cramps has eased off. I had some porridge and a complan (thought that should be agreeable enough). 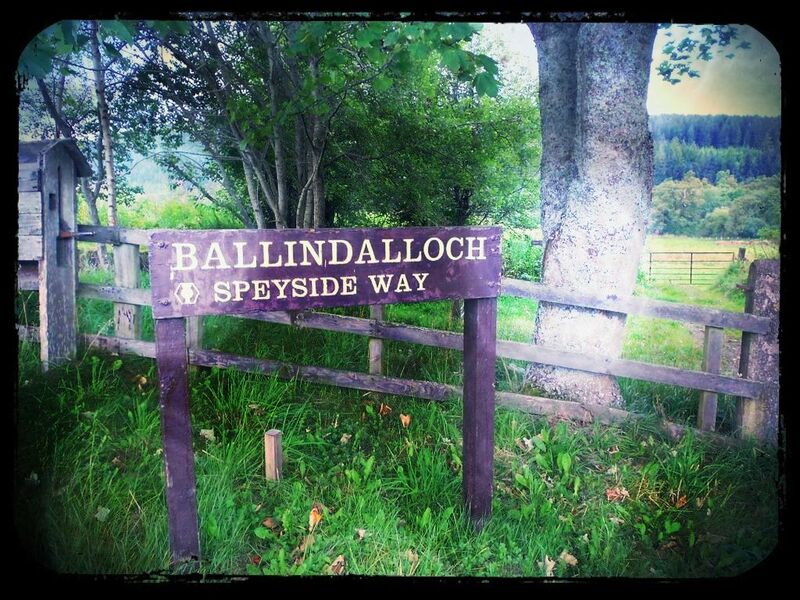 After registration we headed straight down to Ballindalloch – the race start. I was still nervous about how I’d feel when I started running and the thought of sugary gels / drinks etc wasn’t exactly appealing. Race briefing was pretty short, and we made our way over to the start. And after a ‘3-2-1….on you go’, we were away. For the first few miles I ran with Lucy Colquhoun and Matt Williamson at a pretty decent pace. I was really glad to be running again after all the stomach issues. I would even as gone as far as saying I felt pretty ok. Nice one – only another 35ish miles to go. I chatted with Matt for a while before I pressed on a little, falling somewhere around a 6m’45 pace without opening up much of a gap. Matt had recently won the Devil and Lucy, well, she just wins everything, so it was going to be a tough day. I was first into CP1 after 12 miles, some electrolytes, snacks and new bottle and it was right back out across the road into a long climb – first on tarmac and then a forest track. With no-one around it was a little stressful and at times I couldn’t recall seeing any markers for quite a few miles. I stopped a couple of times to have a look around in case I’d missed something. I was relieved to finally see a marshal over the top of the climb who directed us off the track and onto a muddy descent. Within a few minutes Matt was back up with me and we exchanged pleasantries. He pushed on and I worked hard not to let a decent gap develop. When we finally came out on to a road after some dirty trails the balls of my feet were burning. I couldn’t work out if there were small stones in my shoes or my socks had bunched up – whatever it was it was causing sharp pains on every foot-strike. By this point Matt was looking really strong and pushing on along more tarmac that I expected of the course. By this point my stomach was getting pretty annoyed about the gels and the pace – I guess it was to be expected. Just before CP2 there was a ridiculously steep descent followed an equally brutal (but short) climb. As I got to the top Matt had already moved on – maybe wasn’t using the drop bags. I was expecting to see my support crew but realised that we had thought it would be somewhere else. It caused a little confusion for me, do I stop for my drop bag? Is it here? How far is this then? All got very confusing. In another mile or so I spotted my Mum and I had to stop to try to sort my socks. In true ultra-fashion I could only get 1 set of laces loosened and spent a couple of minutes on the other only to give up and move on. Not only was I losing Matt entirely but was very aware that Lucy wouldn’t be far behind at all. To top it off, it wouldn’t have made much difference anyway – the sock I did manage to sort offered no relief at all as the blistering response was already advanced. I’m always amazed at how quickly things can run out of control in a race. You can be totally composed one minute then 1 or 2 things happen at the same time and it feels like the wheels have fallen off. Slightly further on, some markers had been removed and there was a little added confusion and finger-pointing / shouting to try to stay on course. I can’t claim that I hugely enjoyed the final 2 sections to take us up to 36.5 miles (and the finish). It was just a matter of grinding it out. 1 x unnecessary / un-graceful trip and fall, a vomit in the bushes and bottle swap and I was on the final road to Buckie. With a couple of miles to go I could see Lucy behind me for the first time. So, I had to pick up the pace towards the short sharp hill for a finish in 2nd place behind the strong and deserving winner Matt. Lots to think about and lots to work on. On a personal level I was disappointed with a number of things, but all sortable given the right direction and application. How does a keen and willing student find an experienced ultra-running coach anyway? Thanks to all the other runners, the marshals, race director etc for putting on a very warm and welcoming event. How lucky were we with the weather (considering the apocalyptic Sunday that followed)? Also, a huge thanks to my twitter friends – you always amaze me with your kind words. They really keep me going when it gets tough. This entry was posted on August 30, 2011 by pyllon. 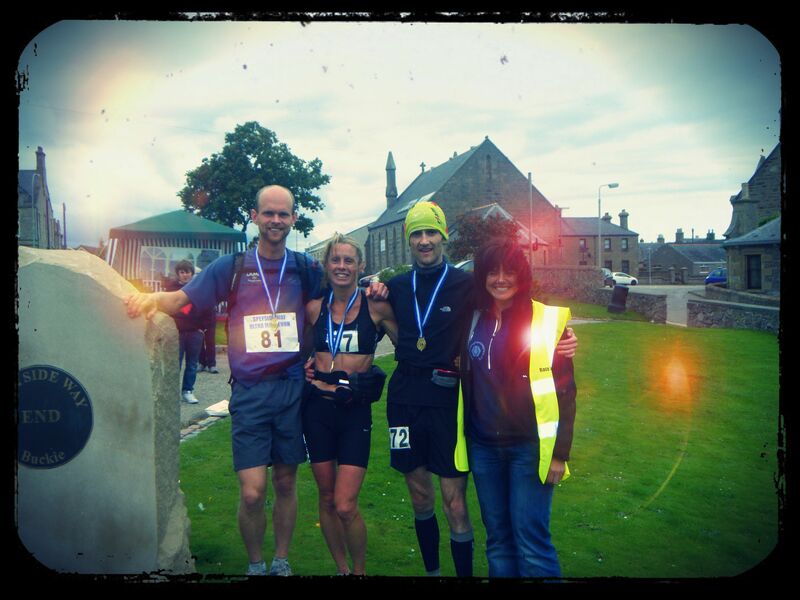 It was filed under 2011, Endurance, Offroad, Race, Results, Running, Speyside Way, SUMS, Trail, Ultra, ultramarathon and was tagged with 2011, Keen, offroad, Paul Giblin, race, results, Speyside Way Ultra, SUMS, trail, ultra marathon. fantastic mate .. an amazing , tenacious and gracious athlete you are !! Thanks mate. To get comments and support like that from you is an honour. No excuses – was well-beaten! Well done Paul. Sounds as though you did really well to finish 2nd. Just what you’ll be able to do when you get everything sorted!! Thanks a lot John. I’ve a few things I need to work on now. Hope to see you soon for a run. Let me know when you’re free or if there are any training runs on that you think I’d be interested in. Best of luck for Wales. Will be keeping an eye on it. What a great performance despite your issues – I do hope you get to the bottom of it soon! Yep, more lessons learned! Thanks for reading and commenting. Hope you’re training is going to plan – not long now! Great report Paul and an awesome run despite the problems you had during the day. I had similar bowel problems during the Devil and night before Speyside. God bless Imodium!! Well done. My support met your folks at the race – had a chat. We all live very close to each other! You’ve done a fair few races this year. If you ever fancy a training run give me a shout. Try harder next time bro!! Great result Paul. In fact is does not get much better than second place (although you have already produced a 1st this season). Most runners (if not all) will have one or another problem in an ultra and – if you have not managed it yet: – producing the perfect race is something to look forward to. Eating, drinking, pacing, navigation, training, shoes and whatever completes the jigsaw. It’s all part of the jurney (and part of the fun!). Thanks a lot Thomas – very true. Hadn’t quite looked at it that way before! Yep, hopefully see you around over the winter maybe?! Congrats on your podium finish (and win over the tummy). Great run Paul – really impressive. Starting an ultra at sub-7 minute mile pace is something I can’t even imagine doing! Thanks for reading Ali – much appreciated. Thanks Ali – much appreciated!